Circular outline. Circular, concave, plain(?) discus has small airhole at front edge and two rounded framing rings. Narrow, plain, rounded but outward sloping shoulder that traces lenticular section with lateral body. 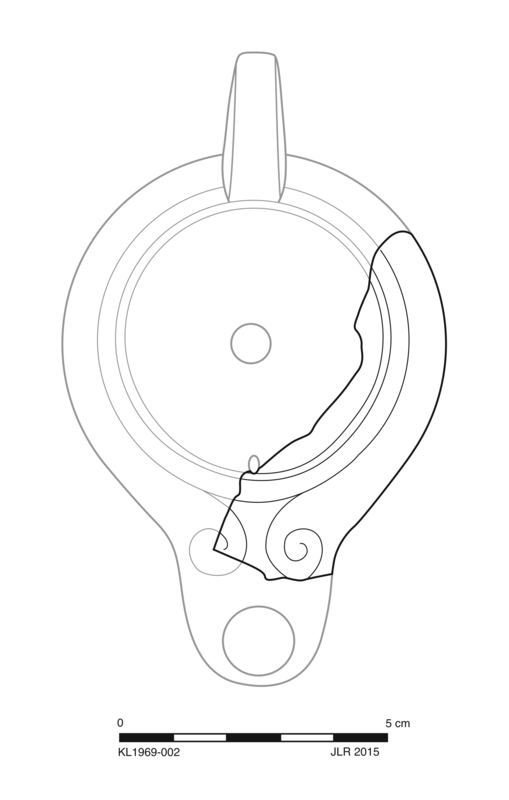 Semi-volutes join shoulder to nozzle. Fabric: 5YR 7/4, pink. Slip: 5YR 5/4, reddish brown. Fine, somewhat hard fabric with very rare, very small, subangular, gray inclusions. Thin, uneven, semilustrous slip detaching in small flakes, extends slightly inside along upper wall. Cf. KL1969-001. 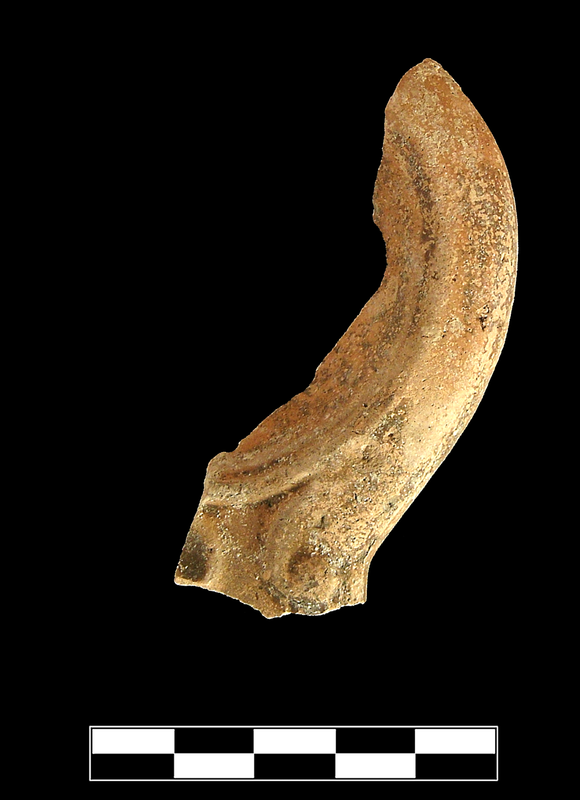 One fragment preserves most of right shoulder, small part of discus, and base of nozzle. Moderate, extensive abrasion and slight flaking; sparse traces of encrustation.